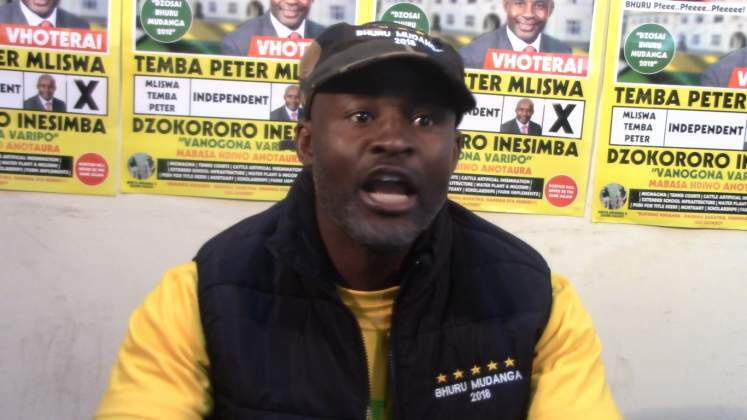 INDEPENDENT legislator for Norton Temba Mliswa has questioned why government failed to deploy the army to drive away villagers who allegedly ignored calls by authorities to vacate their areas ahead of the deadly Cyclone Idai over a week ago. Mliswa was speaking in parliament this past week following claims by Local Government Minister July Moyo that villagers did not heed government's advice. The cyclone killed over 200 people the majority from Manicaland's Chimanimani area and further caused massive damage to land and property. Moyo went to parliament to deliver a ministerial statement on the state of affairs in cyclone hit areas. He told MPs that villagers who later got caught up in the disaster had ignored government advice to vacate their homes to safety. Mliswa, in his comments to parliament, demanded answers on why central government was still reluctant to engage MPs during attempts to transmit messages within their communities. "The Minister spoke about the various Government organisations that were involved. Mr. Speaker Sir, this is indicative of the fact that Members of Parliament are a nonentity in this country. "There is no effective communication that can be done without a Member of Parliament being told at all. "So, it just shows the poor communication in that Members of Parliament were never told, neither did we receive anything in the pigeon holes to go and alert the people and have meetings with the councillors in the constituencies. Members of Parliament are at all not considered in this regard," Mliswa said. He also asked why government could not use the army to drive villagers out of areas that were later hit by the harsh weather phenomenon. "The second one, the communication that he (Minister) is talking about which they used; they told people to move but they did not move. Was it not time for the army to intervene because prevention is better than cure? "So, we have a situation where the communication that they are talking about failed to work because people are stubborn. Was it not important for the law enforcement agents to then come in and say you must move to these areas?" The Zanu-PF led government is under fire for unleashing the army on civilians during anti-government protests in August last year and January this year in what has seen the army use live rounds on protestors.